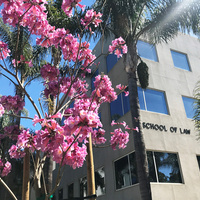 UCI Law cordially invites you to the UCI Law Library for an evening of law, art and culture. Join UCI Law Dean L. Song Richardson and one of the Law School founders and The Irvine Museum's President James Irvine Swinden for a specially guided tour through the UCI Law Library to enjoy and learn about the extensive collection of inspirational, California landscapes on loan from The Irvine Museum. Light refreshments will be served in the California Room. Visitor parking is available for $10 at the Social Sciences Parking Structure.